Aplog is question ko hindi mai translation karke par sakte ho. apnara ai questions gulo bengali te translation kore porte paren r jodi translation korte problem hoi tahola apnara amake niche comment korte paren ami ater solution bole dibo. 2. Has the lowest growth of any country in the last decade? 3. Which female literacy is lowest in India? 4. According to the 2011 census, is there any woman educated in the following states? 6. According to the 2011 census, which of the following states is the highest female literacy? 7. Percentage of population living below the poverty line is highest. 9. What percentage of the total population of the country live in Uttar Pradesh? 10. According to the 2011 census, which of the following categories is the lowest in the union territory? 11. According to the 2011 census, the exact pair of male and female ratio? 12. In any of the following states, the proportion of every 1,000 women is lowest? 14. Is there any gender discrimination in any of the following states? 15. According to the population of 2011, which of the following states has the maximum population? 17. According to the 2011 census, there is less density of population than the other three among the following states? 21. According to the 2011 census, which state in India has the maximum population density? 22. Which Indian state has more than 1000 male and female ratios? 23. According to the 2011 census, there is no female literacy rate in the following states? 24 Which is the most populous Union Territory of India? 25. What is the percentage of population of India’s population? 1. Which region is the longest Indian railway? – Northern Railway. 2 Where is the first train of India? -ans: From Bombay to the police station. 14. What is the broad gauge railline width? Ans-1.676 m.
15. How did India’s first train travel? A.- 34 kilometers. 17. Which year did the life line Express start? A. – In 1991. 18. What is the longest railway in India? A. Pir Pirajal. 19. Where is the longest railway? A. Gorkhpur. 20. Rail communication between India and Bangladesh is going on? Ans-Maitree Express. Which of the two railway stations in India is the highest rail line? A.- In Bongra and blindness in Mumbai. 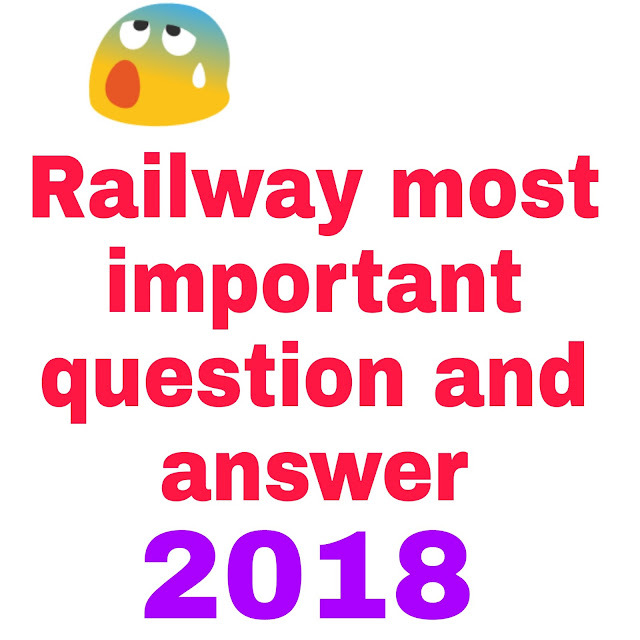 33 Which is the smallest railroad in India? Ans North Eastern Railway Station ‘IB Station’ near Jhargumpuda and ‘Odd’ station in Gujarat’s Anand-Godhra.